Principal Investigator: Frank G. Hillary, Ph.D.
Over the past 15 years my research has focused on understanding the consequences moderate and severe traumatic brain injury taking perspectives from cognitive neuroscience and clinical rehabilitation. To examine the broad consequences of TBI on patient outcome, we use large databases to understand the factors that influence TBI outcome including behavioral (e.g., alcohol use) and demographic (e.g., gender, age) risk factors for TBI and outcome stratification. In addition, the work in my lab has used functional MRI and connectivity modeling to understand systems-level plasticity after moderate and severe traumatic brain injury. Over the past decade the functional MRI literature has shifted to focus on examining connectivity in brain networks which now compliments the first generation of fMRI studies focused on the localized responses during perturbation (i.e., task). During this transition I have led collaborative efforts to employ these methods, pioneering the first TBI studies using brain connectivity measures and advanced statistical analyses (e.g., graph theory) and the few studies in the literature examining brain network changes longitudinally after TBI. Since we published the first longitudinal graph theory study in 2009, we have continued these efforts examining early recovery windows using longitudinal methods including data collection at multiple hospital facilities. In addition our most recent work focuses on the commonly observed phenomenon of hyperconnectivity following injury and linking these effects over the life-span as possible predictors of neurodegeneration including recent collaborations to investigate these effects in mild cognitive impairment. Neuropsychology Program at Rhode Island Hospital in Providence, RI. For her Master's, Rachel used graph theory and functional MRI to examine changes in network dynamics during recovery from moderate to severe traumatic brain injury. Emily Grossner is a fourth year graduate student in Dr. Frank Hillary’s lab. She received her B.A. in Psychology from Franklin & Marshall College in Lancaster, PA in 2012. Following her undergraduate career, she earned her M.S. in Experimental Psychology with a focus in neuropsychology from Saint Joseph's University in Philadelphia, PA in 2015. Emily's past work has focused in concussion and mild TBI, examining the reliability and validity of new neuropsychological assessments of cognitive functioning. Currently, Emily is interesting in shifting focus to moderate to severe TBI and examining areas of cognitive and brain dysfunction. Einat Brenner is currently a fourth year graduate student in Dr. Frank Hillary's lab. She earned her B.S. in Cognitive Neuroscience from Brown University in Providence, RI in 2015. During her undergraduate years, she spent 3 years working as a research assistant in the Advanced Baby Imaging lab and one year working in the Memory and Aging Program at Butler Hospital in Providence, RI. Einat is currently interested in longitudinal changes in resting connectivity in TBI and MCI. For her Master's, Einat examined dynamic resting-state connectivity changes in individuals with MCI and healthy older adults. Another project involves examining changes in resting state connectivity following behavioral intervention in patients with mild cognitive impairment. Her dissertation will investigate the relationship between connectivity, cognitive reserve, and behavior in individuals with TBI and MCI. Kristine is a second year graduate student in the lab. She received her B.A. in Cognitive Science from the University of Virginia in 2010. Following graduation, she spent time in Lille, France, as an English teaching assistant in two schools. She then transitioned to a position in clinical assessment at Walter Reed National Military Medical Center working with military service members who suffered traumatic brain injuries. Most recently, she worked as a study coordinator at Walter Reed Army Institute of Research and the National Institutes of Health, studying the effects of chronic exposure to low level blast in both military and law enforcement personnel. Madison is a junior at Penn State and is majoring in Psychology with a focus on Neuroscience and minoring in art history. After graduation, she plans on attending graduate school to further her studies in the field of Neuroscience. In her spare time, Madison enjoys attending PSU football games, cooking, and hiking. Shea is a junior majoring in Psychology with a focus on Neuroscience and a minor in Biology. She hopes to attend graduate school to pursue Neuropsychology as a career. Shea is a fitness instructor and is involved in PSU club XC and the Penn State DMAX chapter. Shea enjoys running, hiking, and playing volleyball. Abigail is a junior at Penn State, seeking a major in Biological Anthropology on a pre-med track. She is also pursuing a double minor in both Spanish and Psychology. She plans to attend medical school after graduation in hopes of becoming a pediatric surgeon. In her free time, Abby enjoys fly-fishing, reading, and hiking. Alex is currently a senior double majoring in Biology and Psychology (focusing in Neuroscience) at Penn State. Upon completion of his undergraduate studies he plans on attending medical school where he will further his knowledge of Neuroscience. When not involved in school, Alex enjoys the PSU football games, outside activities like soccer and hiking, and volunteering. Umesh "Umi" Venkatesan obtained his bachelor's degree in psychology from Johns Hopkins University in 2008. He graduated from Penn State's Clinical Psychology program with his PhD in 2017. During his time in the Hillary Lab, Umi's research focused on resting-state functional connectivity in moderate-severe TBI. The overarching goal of this work was to identify chronic neural network alterations with potential long-term consequences for cognition and behavior, particularly in the context of aging. Clinically, Umi provided assessment and treatment services to diverse medical and psychiatric populations within the Penn State Psychological Clinic as well as on externship at Columbia University Medical Center. He completed his predoctoral internship at Alpert Medical School of Brown University (Neuropsychology Track) before beginning his current position as an Advanced Fellow in Polytrauma/TBI Rehabilitation Research at VA Boston Healthcare System. Arnab Roy was a post-doctoral student in Dr. Frank Hillary’s lab. He has a B.E. in Electronics and Telecommunications from Mumbai University, Maharashtra, India, M.S. in Computer Science, and Ph.D. in Bioengineering from Binghamton University, NY, U.S.A. His current research involves developing computational techniques for discovering regional-pairs in the resting-brain that show aberrant functional connectivity after traumatic brain injury (TBI) and understanding the manner in which the connectivity strength between these regions evolve during the recovery period. He is also interested in studying the non-stationary patterns of functional connectivity associated with TBI. John Medaglia graduated from Drexel University in 2008 with a B.S. in Psychology. He completed his post-doctoral work at the University of Pennsylvania, and after winning the NIH Director's Early Independence Award, continued on at the University of Pennsylvania in the Department of Psychology as a Research Assistant Professor. John's primary interest is the contribution of the cerebellum to working memory processing in distributed neural systems. His Master’s thesis investigated cerebellar relationships with forebrain regions and performance during working memory. His dissertation incorporates person-specific techniques for examining changes in neurocognitive processes following traumatic brain injury. He applies graph theory and effective connectivity approaches to fMRI time series to examine network changes and contributions to performance. Other interests include conceptual issues in the generalizability of aggregated statistical findings, neural network simulations, and dynamic systems approaches to brain functioning and cognition. In his remaining few hours, John enjoys sports, martial arts, strategy games and music. Deepa Ramanathan graduated from the University of Vermont in 2005 with a B.S. in biobehavioral psychology and minor in chemistry. Deepa is interested in long-term cognitive, psychiatric, and functional consequences of TBI. Her master's thesis examined the relationship between dispositional optimism and long-term outcomes following TBI. For her dissertation, she used data from the Pennsylvania Trauma Systems Foundation to describe the epidemiology of TBI in Pennsylvania, with a focus on examining short-term TBI outcomes in the elderly and in urban and rural locations. Deepa completed her clinical internship in neuropsychology at the James A. Haley Veterans' Hospital in Tampa, FL. She completed her Postdoctoral Residency in Rehabilitation Neuropsychology at The Johns Hopkins School of Medicine in Baltimore, MD. Deepa is now working as the inpatient rehab neuropsychologist for the TBI/stroke unit at Inova Mount Vernon Hospital. She also has an appointment as an Assistant Professor at Hopkins, teaching didactics to the rehab psychology and neuropsychology residents. Kathy Chiou graduated from the University of California, Berkeley in 2004 with a major in psychology and a minor in education. Kathy has interests in examining metacognitive processes and factors that contribute to performance differences in this domain following moderate to severe TBI using neuropsychological assessment and neuroimaging methodologies. She completed a master's thesis examining the relationship between executive functioning and metacognitive performance after moderate to severe TBI. She expanded upon this work in her dissertation by using VBM and DTI methodologies to investigate the contribution of structural integrity to metacognitive performance following injury. Kathy completed her clinical internship in neuropsychology at the University of Florida Health Science Center in Gainesville, Florida. 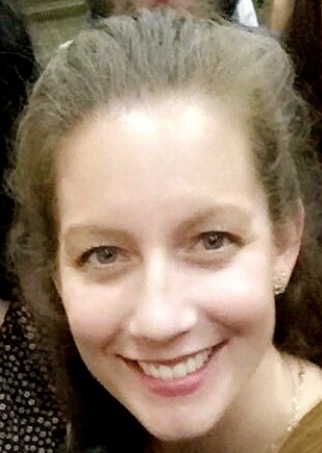 She completed her post-doctoral fellowship at Kessler Research Foundation in West Orange, NJ, and then took a tenure-track faculty position where she is now an Assistant Professor in the Department of Psychology at the University of Nebraska at Lincoln.